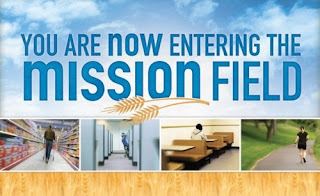 An official of a mission board, who knew it takes more than just desire to make a missionary, was appointed to examine a candidate for the mission field. He told the young man to be at his house at six o'clock in the morning. The young man complied and arrived a six o'clock sharp. The examiner kept him sitting alone in the room until ten. Then he finally came in and said abruptly, " Young man, can you write your name? A little taken aback by the simplicity of his question, the man paused. Before he could get a word out, the examiner blurted, "What, you don't know what it is?" The mission board official put him through a series of questions of that nature and then went to report to the mission board. "Okay," he said, "he will do." I tried his patience for hours and hours and he did not break down; Then I insulted him and he did not lose his temper. This candidate answered with patience, fortitude, and gentleness. His faith was vindicated by the very quality of his character. He will make a good missionary." Whether we realize it or not -- we all are on the mission field. Our patience is bound to be tested in ways we've never imagined and we'll most likely find it unfair and unkind at times. But standing strong in the Lord in the face of offensive treatment and enduring seasons of long-suffering is a testimony in and of itself -- and that will win souls! Are you weary from the walk? Get your second wind! Count it all joy! You have endured much and you will see victory! Not only here on earth but when we meet the Lord! Dear Lord, help us to be patient with all that comes our way. Help us respond in a manner that is pleasing to You. In the Nam eof Jesus, Amen. Grain of wheat in your pocket? Lesson from the great pyramids. Coming to the finish line. Work like an Eskimo in frigid air. He has come to rob, kill and destroy.